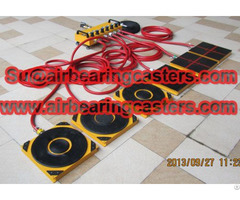 Air bearing and casters via compressed air as power source moving your heavy duty equipment with lest effort. 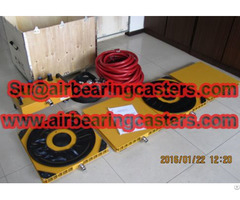 Air bearing kit is one kind of heavy load moving equipment with latest design. 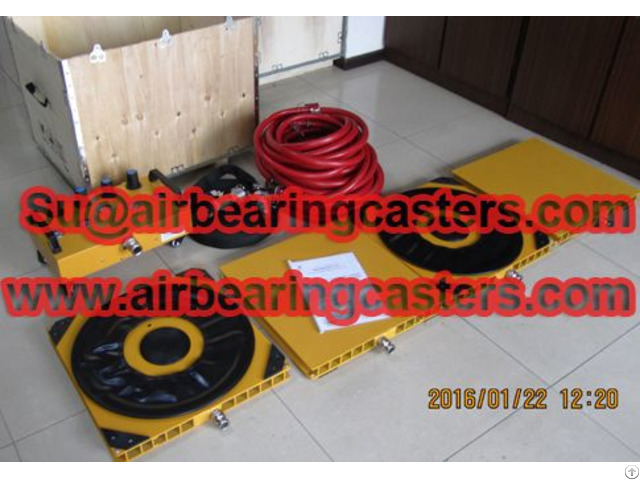 Air moving bearing system can moving any shape of heavy loads, Shan Dong Finer Lifting Tools co., LTD produced air bearing system professionally for more than 20 years. If you have any moving problems, please feel free contact us. 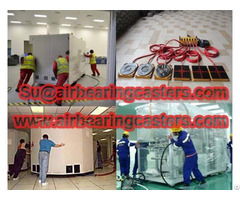 we will do our best to get yours satisfaction.